Her beauty is fey. Her youthful power, a reviled enigma of yore. Beguiled by the undeniable lure of Chaos itself, Asturbar faces a stark choice. 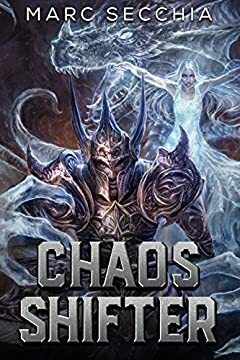 To stand against Azhukaziâ€™s rampant evil, he must ally himself with a lethal, beautiful Chaos Shifter â€“ all it might cost, is his soul. A story in Aranyaâ€™s timeline, this full-length novel can be read standalone. The exact sequence of events overlaps with the events of Song of the Storm Dragon (Shapeshifter Dragons Book 3) and Beautiful Fury (Shapeshifter Dragons Book 4) â€“ but as noted, this tale is complete in its own right and there is no need to read prequel books or series to fully enjoy it.